This is a recipe I made for my husband's coworkers to share on Christmas Eve. What I like about this is that it incorporates all the flavors of the candy bar, packed into a perfect little dunker for coffee and/or hot chocolate! The recipe I used was my go to recipe from Joy of Baking. I took the base recipe and added chocolate chips. In a bowl of your stand mixer (or with a hand mixer) combine the flour, sugar, baking powder and salt. Beat until blended (about 30 seconds). Gradually add the egg mixture and beat until a dough forms, adding the chocolate chips about halfway through. With floured hands divide dough in half. 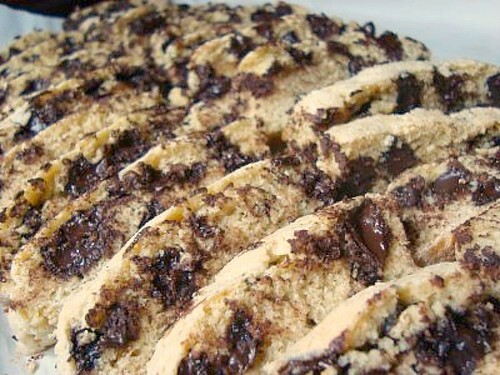 On a lightly floured surface roll dough into a log about 10 inches long and 3 inches wide. Transfer log to the prepared baking sheet and bake for 35-40 minutes, or until firm to the touch. Note - logs will spread during baking. Remove from oven and let cool on a wire rack for about 10 minutes. 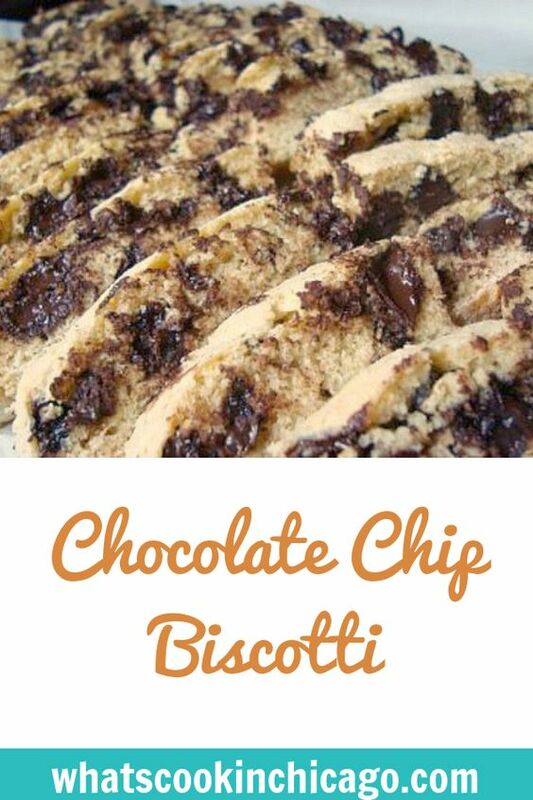 Choco chip biscotti are my favorite! This recipe is a little different than my usual so can't wait to try it out.